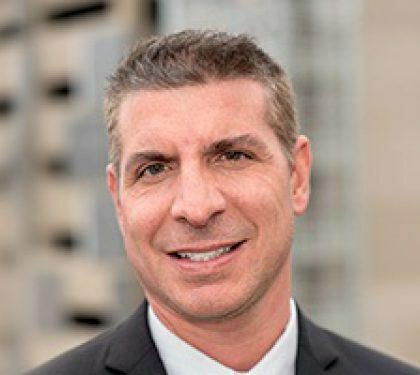 Michael Volpe has had a comprehensive career in commercial real estate as a sales and leasing broker, marketing specialist, property manager, valuator and consultant. Michael received his Bachelor of Science Degree in Managerial Economics from Rhode Island College in 1994. Mr. Volpe prides himself on the core values he has built over the years and is committed to understanding the client's requirements, having the proper resources and tools, acting expeditiously and conducting business in an ethical manner. Michael has also successfully sold and/or leased over 22 million square feet of commercial and industrial properties throughout his 19 year career. He previously represented a commercial developer and was responsible for negotiating contracts, sales and leasing, assisting in the planning and development of condo complexes, retail plazas, and other projects. Some of Mr. Volpe’s notable past clients include Corner Bakery, iXblue Defense Systems, Marylou’s Coffee, McDonald’s, Red Wing Shoes, Skip’s Marine and Verizon. Michael has established relationships with all types of investors, developers, corporate officers, managers and owners. He possesses a wealth of knowledge and experience in all aspects of commercial real estate with emphasis on retail and restaurants. Michael's extensive background and experience, combined with his professional dedication prove him highly qualified to assist clients with any and all commercial real estate needs. Michael resides in East Greenwich, RI.